Written by The Editor on December 12, 2017 . Posted in High-School. The winter season is almost upon us. That means thoughts of holidays, hot chocolate, and Poinsettias. In chemistry class, you can use Poinsettias to introduce the concept of pH. Whether you are studying acids and bases, or simply looking at chemical changes, being able to observe changes in pH is an important tool for your budding chemistry students. A Poinsettia is one of many plants containing pigments that respond to changes in acidity. 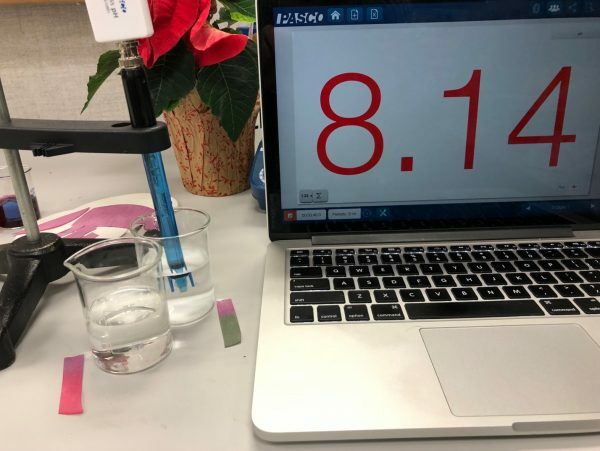 You can take the mystery out of litmus paper and pH indicators by having the student create their own Poinsettia pH paper. 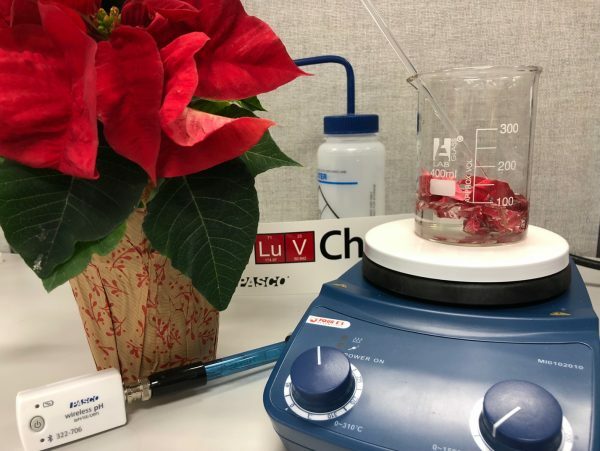 The red pigment from deeply colored poinsettias can be extracted and used to make paper strips to test whether a liquid is an acid or a base. Cut the flower petals (actually specialized leaves called bracts) into strips. Place the strips into a beaker. Add enough water to cover the plant material and simmer on a hot plate. Filter the liquid into another container and discard the solid plant matter. 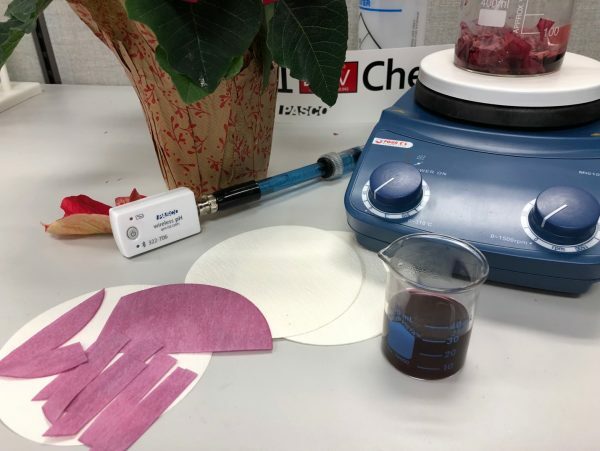 Saturate a piece of filter paper with the poinsettia extract. Allow the filter paper to dry and cut the colored paper into test strips. With this brief activity, you have the opportunity to take a holiday tradition and turn it an engaging and educational experience.